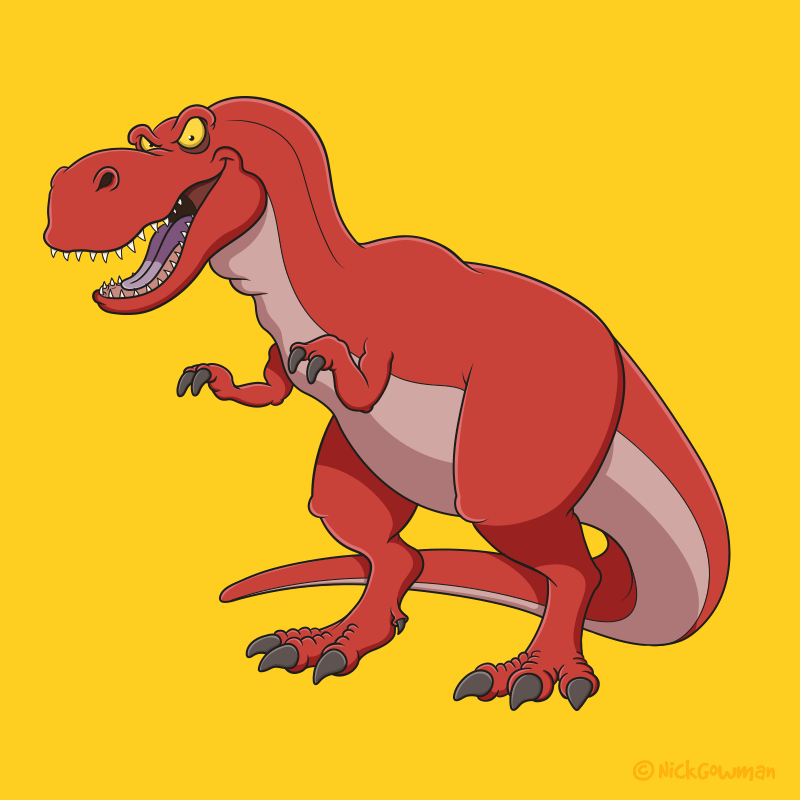 Tyrannosaurus cartoon | A vibrant illustration of the king of all dinosaurs! Reaching up to 12m in length and averaging 6 tons in weight, you wouldn’t want to be on the menu! He had unusually small arms, but these were countered by a six-foot head filled with 8-inch teeth! As with all of my cartoon characters, this dinosaur started life as a pencil sketch. I then create all of the outlines digitally, before adding a splash of vibrant colour. I usually colour the eyes white but wanted to convey more menace in my Tyrannosaurus, so I went for yellow!